I ran into a website that offers free music. I appears as though there are a couple of different licenses available, but most of the material can be used for anything without violation of their terms and conditions. You certainly could use it for background music for online videos. You could use it for background music for audio recordings. You could use it for intro and outro music for an audio or webinar presentation. Looks like a huge collection of free music in countless number of musical styles. How to search and replace for multiple webpages. I made a forum post to help a fellow who was looking to do the following and thought it might help my readers looking to quickly make changes to existing webpages without having to do it manually…here’s the question. Let’s say I want to add a new link to my menu on all my 10,000 pages of my site. Anyone know of a software that automates this task? I did hear about one years ago… but forgot the name. If your menu is confined to a snippet of code you can use the software to located that snippet and replace it with the new menu snippet. As someone else mentioned, I’d find the snippet for the menu and then replace the snippet with a php include. This would bring the code in from an external file. This would also allow you to make changes to one file and have those changes show up on every page automatically. Word of caution. Once you change something with this software there is NO UNDO! So copy a folder and practice before you actually use it. Also, the way it works…is that you locate the folder that your webpages are in and tell it to look for “something” to replace with “something” If you use your local folder, make the changes you can upload and overwrite the existing files….so you won’t have to download all 10,000 pages. Steve was manually sending email to craiglist buyers suggesting ebay products. Now….. he has automated the process and its called CraigsAgent! Are you maximizing your affiliate marketing potential by utilizing the most popular websites on the internet? If you don’t already know about the simple method I’m about to reveal to you, you’re missing out on a lot of potential income. Craigslist.org now receives over 25,000,000 monthly visitors, with 20% of those visitors posting want ads. That’s 5 MILLION potential clients with money in hand BEGGING YOU to help them locate the items they need! However, only a handful of marketers know how to harness the power of this highly profitable market… The secret lies in the process of marketing the items you find to these clients and striking a decent and steady profit. I’m going to reveal that secret strategy to you right now. In fact, fill in your name and email address and I’ll send you a link to a video that explains the entire process! The idea is simple and the results are fantastic. You simply promote eBay products, with your custom affiliate link, to those people on Craigslist who are ready to buy the products you find for them! 1. Searching the “wanted” sections of Craigslist for hours at a time. 2. Finding the requested items on eBay. 3. Manually creating an affiliate link for EACH ITEM. 4. Creating an email with a unique message containing your affiliate link. But as you can already tell, there has always been one major problem. Promoting enough products to make a decent profit literally takes hours upon hours to accomplish, day after day. It’s slow, tedious, and quite frankly, more boring than watching paint dry. What Can CraigsAgent Do For You? In a nutshell, it provides a custom user interface that allows you to quickly search through the wanted ads on Craigslist, find matching products on eBay, and quickly send out hundreds of custom emails containing YOUR eBay affiliate links! I forgot to mention this great report is Free! Josh is telling us that if you want “Authority” for your niche….the links ‘coming to’ your niche site must be from a quality site….an authority site in and of itself and a site with some page rank. Basically a page of value, especially as determined by Google and the lesser search engines. Another thing to consider….imagine you are working on building an authority site on the Xsitepro website editing software your strategy should focus on getting links from other sites about website building….xsitepro in particular and those links should be from sites similar to or better than yours regarding the features we already talked about…. authority, rank, seo etc. So there would be little to no value in joining a link exchange program that sends PR1 links to your xsitepro website from sites that range from birdflu to Bill Clinton. He goes on to say in “The Easy SEO Report” that each page on the world wide web is ranked individually, consequently each page that is on the net can only pass on the amount of Authority it has Received. Get this concept and you’re on the way to greater seo truths. If you have internal pages in your website about How to Use XsitePro (our example) with a higher page rank and getting more traffic than the index (first page) then it’s because of the Authority Links going to those internal pages and not the index page. If you’re smart, you will build on that by focusing your marketing on those high traffic pages, add a popup, subscription box, banner or other advertising…..but that’s another story. Authority is also passed through your own internal paes, For instance, if your index (http://www.yoursite.com) is linking out to 30 pages, each of those links is going to get a certain amount of the authority in which your index page possesses. That goes for both internal and external links. If yoursite.com is only linking to yoursite.com/yourpage.html and hissite.com/hispage.html….then yoursite.com/yourpage.html is going to get half of the passable authority and hissite.com/hispage.html is going to get the other half. What Josh is saying is that it is irrelevant (regarding the fact that authority is passed) where you’re linking to, whether it be your own internal pages or pages from Joe Blows site….some portion of your Authority is going to get passed regardless of anything……seems to be kind of like gravity. 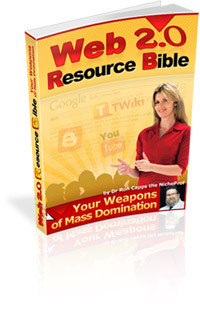 Jump out the window and go splat…link to other pages/sites and pass your authority. If you’ve followed so far I hope you’ve realized that the Authority your site has gained can be passed on other websites and webpages. The consquence is that you might now be just passing on the hard earned Authority your site has gained by indiscriminate linking. The good news is, now you know and can be more careful where and how you link to others. I’m not the expert…but I agree with Josh, he remarks that he isn’t condolling the hording of links because it is only natural to link to other sites if your own content is going to be useful to the reader. Armed with this information about Authority and the fact that it is passed should make you more discerning about linking to other sites or pages. This review is only a small part of Josh Spaldings free ebook “The Easy SEO Report” and I found it concise and easy to apply and current. Worthy of reading by novice and the old wrinkled marketers/gurus. This is just a section from a great read written by a guy who knows what he’s talking about. Thanks Josh! Now I’m thinking about my Xsitepro sample site. I go back in my minds eye and think about the pie chart. The complete chart represents the Authority I have build for the website. Keeping the Authority leaves me kind of like the Lone Ranger….passing on some of that Authority to others of similar or more Authority will increase my Authority. So I give away a part of my pie chart only the make it bigger in the long run…..as long as I do it with a little forethought and planning. And don’t forget, Authority comes from being real, writing for the sole and single purpose of trying to maintain Authority makes you look like a miser because your content won’t be real. Like I tell my kids, “share” and it will be given back. Here’s a good video on some recent keyword developments using free keyword tools, good quality and I think you’ll enjoy it. You’ll even find some tips on how to use some of the new features in Microsoft Excell to actually further enhance your keyword research. Great for trying to determine what’s going on within your niche! Watch the video below, but make sure you check out the other seo Videos I can’t believe what you get for free online these days! Also if you haven’t visited The Free SEO Book Keyword Tool make sure you check it out because I think it’s one of the best since the demise of the free Overture keyword tool. If I had any brains I’d set up a landing page, collect your email and name and then send this report to you. But screw it, because some of you guys are tired of that scenario and I really want you to read The Authority Black Book for the outstanding content you’ll receive. Understand Why and How to use RSS subscriptions to thoroughly penetrate your reach! Alsmost all internet marketers and webmasters are working with RSS the wrong way… I will show you the only correct way of using rss! Linkbait: What the heck is this, How do I write it, and how to create a huge buzz and hundreds of backlinks in your niche website using it. A secret tool that instantly and with the click of a button will bookmark any page on the web in all the social bookmarking sites â€“ FREE! Complete explanations of all technical procedures and methodical strategy by Jack Humphrey, the author of Power Linking Profits and the Authority Black Book. Here’s another free resource that conincides with The Authority Black Book called The Easy SEO Book ……..once again, this book is free and if you want to understand the concept of Linking and how important it is….and some tricks on how to make your links more effective then download The Easy SEO Book for free and give it a read….no actually study it and apply. There aren’t many times that you’ll find free books like these that discuss the quality of material they do….these books are top notch and the authors are good guys willing to share the invaluable information they’ve gained thru years of practice. I don’t know what I can say without sounding too hypy….don’t miss these if you want to understand, one way backlinks, linking structures, formatting of links and anchor texts and much more….all designed to get you to get ranked and on the top pages of Google. Time to join the social network and social maketing revolution! One more idea. Since we are talking about linking. 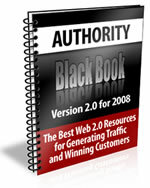 One way back links are the safest and most effective way to gain Authority for your websites and since The Authority Black Book talks about and focuses on Authority you would be wise to check out a system designed to easily create a network of one way back links to a series of websites. Check out a program called Linktator2 which is 1/5 the cost of any similar program. Click Here to watch 2 Free Videos discussing a proven cash generating business model. Interested in a Simple Business Model for online marketing otherwise known as internet marketing? Have you ever heard of the Rhodes Brothers? You can watch 2 videos that a filled with content and explain a simple business model for starting an online business and get your internet marketing business up and running. It is preposterously childlike business patterns such as this that create us a ton of cash… plain and simple. You do not require complex software. It doesn’t matter if you’ve earned little to no revenue with your internet businesses, you actually could carry out a laughably uncomplicated business models such as this to begin bringing in a lot of actual cash. Perhaps you have just brought in a a couple of dollars online. Perhaps you have not cleared a penny so far. The idea follows, I’ll personally be demonstrating to you, step-by-step how to prepare to bring your new business to the next level. Four Additional Free Business Models? * Four additional laughably elementary (just about stupid) business models that bring forth a ton of money in no time. * The tested “secret weapon” that will assist you to create a lot of income in less time. This one membership that is affordable and just filled with new ideas that you can began to impliment today and start making money. I owe it and below to the membership and highly recommend it…..these guys, John and Matt Rhodes are the real deal! There was an interesting question on the Warrior Forum regarding how to use Camtasia. Sometimes we forget how difficult things can seem when first trying an application or installing a script. So what is obvious to some becomes a major road blog to others. Apparently a new Camstasia user was having a tough time trying to get a video to show up on their website after spending an hour recording the video. They ended up with a .camrec file and weren’ sure what to do with it. I can only speak from the experience of Camtasia ver 4 so, if ver 5 handles .camrec files differently then I just spread some misinformation. Anyway, here’s a copy of my post along with some of the other solutions. They just might help you go in the right direction when trying to produce a screen capture video. Tiffany…what version of Camtasia are you using? First you need to drop or import the “filename.camrec” into Camtasia Production. Drag the “filename.camrec” to your timeline. At this point…I would split the video into 4 to 6 different segments…thereby reducing the file size making the file sizes smaller and easier for slower connections to view. There’s too many variables to discuss here that help to determine file size, but by splitting one large file into smaller ones it will help to keep your viewers attention amongst other things. Let’s say you didn’t want to split the file. Next you need to PRODUCE the video. On the far left there is a section called PRoduce…click on “Produce video as” ….choose your production options and produce the video. Camtasia ‘renders’ the project and a 1 hour video will take quite a while…especially on an older machine. You’ll get a folder with files. Upload the entire folder and and link to the .html file to play the video….I should backup and say, first try to play the video on your local machine by clicking on the .html file ….if it works then upload. Here is a pretty easy tutorial on how to do it. The .camrec file is the raw screen capture data. It is only useful to loading into Camtasia for editing. Open your project and produce the video as .swf or .flv. The file size will be much smaller and will stream much better. If you are using Camtasia 5. I would recommend using the ExpressShow Flash player. It has the ability to let the user expand the video to full screen. Basically if you want to produce an hour video, put it on CD….I totally agree, especially if its a 700MB file. They’ve had good luck with Flvproducer? My Note: I don’t think Flvproducer works with camrec files. Cut up the original video into some 10 min segments to post to YouTube putting backlinks to the original 1 hour video….I agree, good way to generate some interst. Although the new ver5 has a ton of new features, there’s a bit of a learning curve for anyone who’s never used it before. Camtasia has pretty good support, and they have a great forum. Also, there is a good selection of training videos on the Camstasia site. As you get a handle on Camtasia, you’ll want to find out how to get the best looking video and audio while maintaining a small file size. Camtasia has a variety of tweaks that allows you to reduce frame rate, audio sampling and a few other tweaks that can cut a video size in half. You can pick up a completely free version of Camtasia and give it a whirl if you haven’t used it before. Also, if you decided to upgrade, you can save a lot of cash by upgrading from this free version…..a little known secret. Leave your name and email address and I’ll send you a report with the secret download link for a free copy of camtasia (completely legal & no affiliate commission for me)….I’m here to serve! I love public domain and love to share sources for public domain material. I think I would think twice about sharing these resources but I know that only 2% to 7% of those reading this will actually take any type of action. I’m sure you know Walt Disney started his empire with public domain material…..his cartoons all came from public domain sources. I know of one guy who used public domain material, burned them on a CD took it to their local Walmart and ended up going country wide with the CD…..needless to say with a little effort public domain materials made him a small forutune and changed his lifestyle overnight. If you’d like to find out more about Public Domain and how to use it, I have a great ebook that will help get you started if you’re a beginner and might even remind you of a few things if you’ve been around for a while. The book is called The Public Domain Advantage …….and here’s a secret code to use at the bottom of the page…..just put “pd50″ without the quotes and you’ll get the book at half price. free “unrestricted” use legally in a flash! find Public Domain photos, music and even films! to get Public Domain materials from the U.S. Government! work in the Public Domain! Don’t forget to check out the Public Domain Resources Book for Free Content…….. The book is called The Public Domain Advantage …….and here’s a secret code to use at the bottom of the page…..just put “pd50″ without the quotes and you’ll get the book at half price. I’ve been using Winzip for ages. It’s a good program for zipping files but I found a better one called WinRAR. Download the trial version and discover a program that is much better than WinZip. You can break up a large file automatically into smaller files and upload them. Once the guy downloads the split files he can easily recompile the split file. has a ton of features…. WinRAR many more than WinZip. I’ve been using WinRAR exclusively in place of Winzip. Download the trial version and give it a try….I guarantee you’ll like it. WinRAR is a 32-bit Windows version of RAR Archiver, an archiver and archive manager. RAR files can usually compress content 8 percent to 15 percent more than ZIP files. WinRAR’s main features include strong general and multimedia compression, the ability to process non-RAR archive formats, ZIP compression and decompression, long filename support, programmable self-extracting archives (SFX), damaged archive repair, authenticity verification, embedded file comments, and encryption. Unicode is supported in archive filenames, allowing non-English filenames to be handled painlessly You can manipulate the parameters of many archives at once and view a volume sequence as a single archive. WinRAR is able to convert other archive formats to RAR. It supports the Find command, allowing search for specified text and files in archives. WinRAR gives you all future UPDATES for FREE! Not like the competition that will make you pay again every one or two years.